NIN RESIDENCE is located at 81 - 85 PHENG GECK AVENUE in district 13 (Potong Pasir, Machpherson) of Singapore. 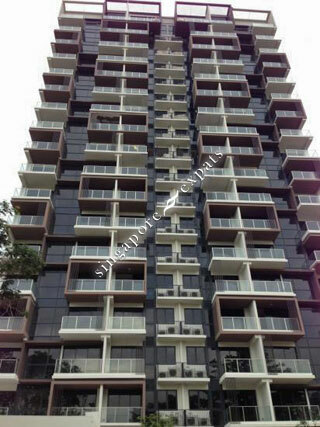 NIN RESIDENCE is a 99-year Leasehold Condo development consisting of 219 units. NIN RESIDENCE is completed / TOP in 2014 (estimated), developed by QINGJIAN REALTY (SERANGOON) PTE LTD.
Educational institutions like STAMFORD AMERICAN INTERNATIONAL SCHOOL, GLOBAL INDIAN INTERNATIONAL SCHOOL, AUSTRALIAN INTERNATIONAL SCHOOL, ST. ANDREW'S JUNIOR SCHOOL, CEDAR PRIMARY SCHOOL and ST. JOSEPH'S INSTITUTION JUNIOR are near to NIN RESIDENCE. NIN RESIDENCE is accessible via nearby POTONG PASIR, WOODLEIGH and GEYLANG BAHRU MRT Stations. Easy access to CBD area. 15 mins to Dhoby Ghaut MRT. 19 mins to Somerset MRT. 2 Mins to Potong Pasir MRT. 10 Mins to town. new condo. quiet condo.